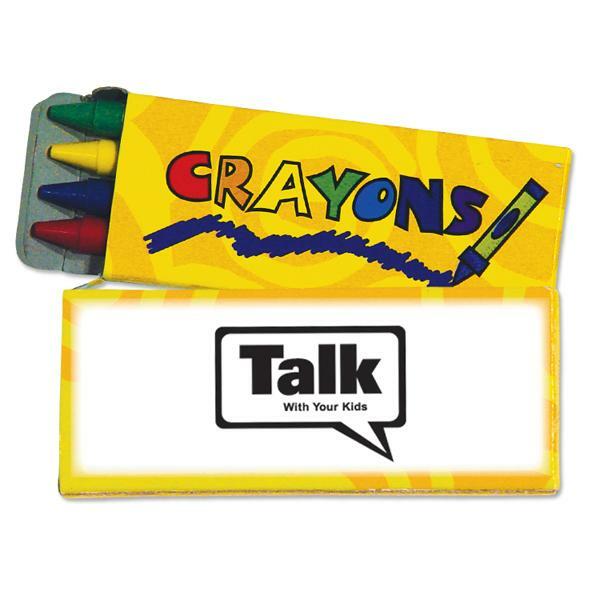 The impact created by selected promotional products like the custom 4 pack crayons – yellow box are remarkable. It can flourish your brand name in the market. Advertisements through children are a tried and proven brand promotional strategy. Brand promotion through the personalized 4 pack crayons in yellow box is a brilliant idea to grab the attention of adults through children. Appropriate branding reinforces the brand name with the customers. The promotional 4 pack crayons in yellow box are CSPIA approved. The size of the crayon is 3 3/4" X 1 1/2"; 90MM. It is ideal to promote the brand name through kids. It is highly effective in promoting kid’s apparels, toys, day cares and nurseries.